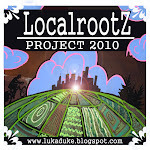 Localrootz Project: 2011 in Review... Beverages ! 2011 in Review... Beverages ! A quick glimpse of some of my favorites from 2011 tastings.... many many more posts about beer are well on there way including a recent trip over to Brasserie Dieu du Ciel in Montreal as well as Hill Farmstead in Vermont.... stay tuned.